Approximately 44.2 million Americans have student loan debt, with the average monthly payment being $351. Whether you’re still studying or you’ve completed your education, chances are you’re stressed out about having to pay off your student loan. You probably fear not being able to progress in life and enjoy milestones because you’re saddled with debt. For example, how will you buy a house, take out a mortgage, pay for health insurance, or start a family? While these are stressful considerations, your student loan doesn’t have to take over your entire life. There are ways to thrive while paying it off in the most efficient way. What’s important to you? Is it buying a new car or moving out of the city? Is it following an active lifestyle or having a great social life? When you focus on what your priorities are in life, the money you have after paying your monthly student loan can go towards them. That obviously means, however, that you’ll have to cut down your expenses elsewhere. It’s all about compromise and a bit of sacrifice, but if you know where you want your money to go, you’ll still be having a good, positive life because you’ll be funding what’s most important to you. Remember that it’s not so much how much you spend that makes you happy but the experiences you “purchase.” Research by Cornell University found that people are happier when they have experiences, rather than when they buy material goods. Research conducted by Bankrate found that over half of people between the ages of 30 and 49 with student loans have postponed a life event such as getting married because of their debt and the desire to save for their retirement. It feels especially difficult to focus on saving for retirement when you’re trying to eliminate student loan debt. But it doesn’t have to be this way. There are ways to save for retirement while paying off student loan debt. These include focusing on your life goals and cutting costs, but there’s something else you can do that’ll make a big difference. While you’re tempted to kill off your student loan debt quickly, slowing it down can help you free up some of your finances so that they can go to retirement savings. Try to save 10 percent of your income every year and put it into a retirement savings account. 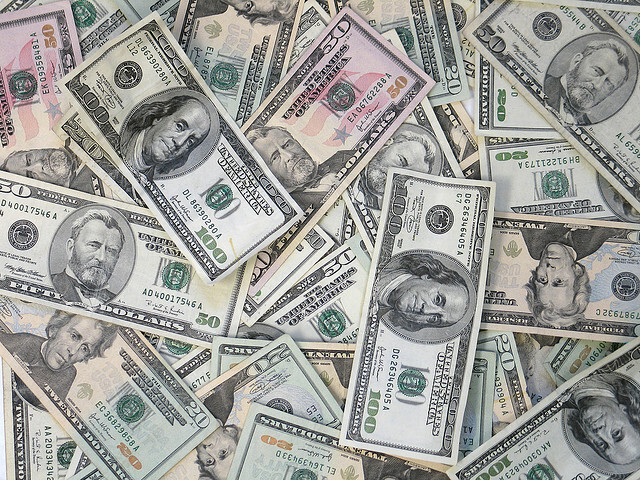 When you earn more money, increase that amount to 15 and even 20 percent. Don’t let student loan debt become an obstacle in your life path. If you want to get married, think creatively about how you can do so without letting student loan payments suffer. For instance, consider a low-budget wedding instead of a grand occasion that can easily notch up thousands and thousands of dollars and put you further into debt. If you’re battling to pay off your student debt while studying, consider consolidating the debt. What this means is that you’ll combine many loans into one, giving you the opportunity to pay one sum monthly and have one interest rate. This will increase your interest amount because you’ll be paying the loan for a longer time, but it definitely makes payments more manageable. Consolidating your student loan is, therefore, a good financial option. When you start earning more money after finishing your studies and getting a full-time job, you’ll be able to increase the amount that you pay. If you’re really strapped for cash, switch to what’s known as an income-driven student loan repayment plan. How this works is that student loan repayments will take a bite out of your income. This means you’ll earn less money, but you’ll also pay less. A benefit of it is that it helps you eliminate monthly payments quickly while allowing you to use the rest of your income on living your life. Health insurance is a common worry for recent graduate students, with a poll by AgileHealthInsurance.com finding that up to 72 percent of students battle to afford medical aid coverage. However, you never know when you’ll need emergency health care, so maintaining health insurance is important. Luckily, there are options available to you. One of these is to keep yourself healthy with regular checkups with your doctor. Preventing illness as much as you can by doing that as well as leading a healthy lifestyle goes a long way to ensure you stay out of a hospital. But it’s not enough to keep you safe. You never know when something will happen, such as an injury or accident. That’s where “catastrophic coverage” comes into play. It won’t cover all your health needs, but it will cover the big ones you can’t control. By having an insurance plan with a higher deductible amount and a high lifetime maximum, your monthly premiums can drop quite a bit, sometimes by several hundred dollars. So, while you won’t have enough money at your disposal for regular, routine healthcare, you will have a decent amount of out-of-pocket funds if you’re confronted by life’s curveballs. 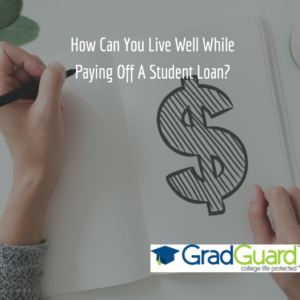 You’ve found a great place to live, but you’re worried that your student loan will get in the way of you getting a mortgage. It doesn’t have to! Your mortgage lender will check your front-end ratio and back-end ratio to determine how much you can afford to pay a mortgage. Front-end ratio is when you divide monthly mortgage payments by your gross monthly income. Your back-end ratio is when all your debt payments are combined and compared to your income. Your monthly debt payments – for your student loan and other debts – are added up and then divided by your gross monthly income. This will give your lender an idea of how much you can reasonably pay. The best thing you can do to qualify for a mortgage is to have a good credit score. You can do this by making all your debt payments on time every single month. You’re entitled to a free copy of your credit report annually and can order it online at annualcreditreport.com. Paying off student loan during and after your studies can be stressful. But there are ways to continue living a healthy and financially secure life. It’s also worth bearing in mind these stats from a Student Loan Hero survey: while paying off student loans can be terrifying, almost 18 percent of respondents said the debt allowed them to gain greater confidence with money. So, consider the benefits that student loans can offer you. They might make you more financially savvy and teach you the best way to live your life.